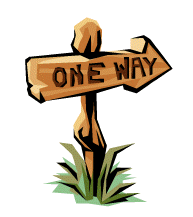 Jesus’ answer to Thomas’s question, “How can we know the way?” shows us we’re in a similar situation when attempting to find our way to God and heaven. Jesus’ reply, “I am the way, the truth and the life. No one comes to the Father except through Me,” is a text we tend to quote as proof that Jesus is the only way to God. But in our current culture, we often feel squirmy when we do. For common wisdom—in Canada at least—is that there are many ways to God, it’s sincerity that really matters, and doing your best. If you were asking directions to your friend’s house, whose directions would you follow, the person who told you, “I strongly believe this is how you get there. But it doesn’t really matter. You’ll get there in any case, no matter which route you take”? Or your friend, who knows the exact way because he has been there and has an intimate knowledge of the road in and out?